Take I-75 Exit 336, travel South on US Hwy 41 (North Dalton Bypass) approximately 4 miles. Turn left on Underwood Road, take first right on Brooker Road. 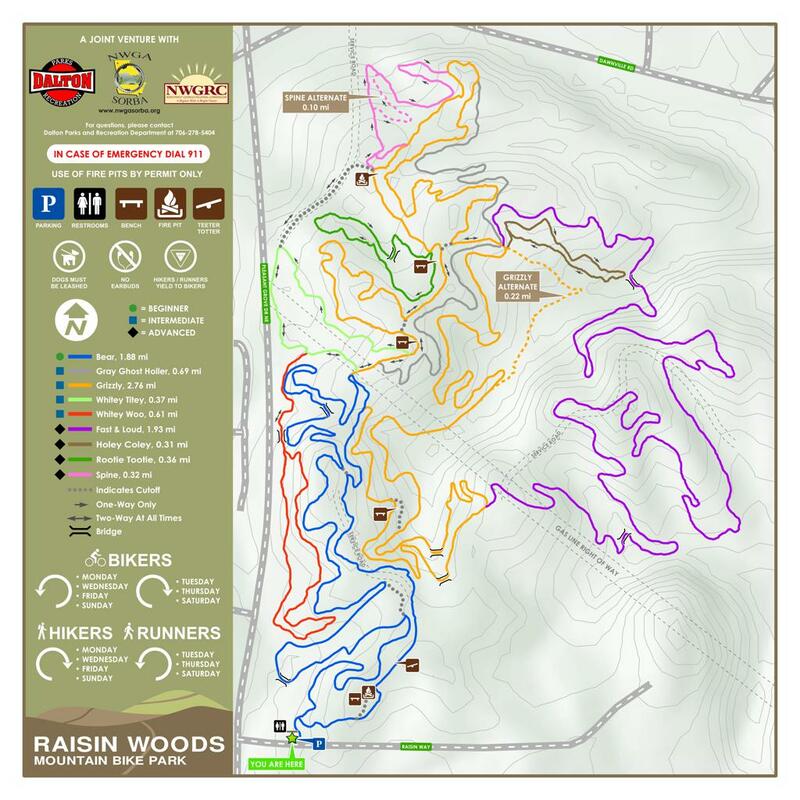 Raisin Wood Mountain Bike Park is approximately 1 mile on the left.